Cooperstown Dreams Park Winners stay at Cobblescote! 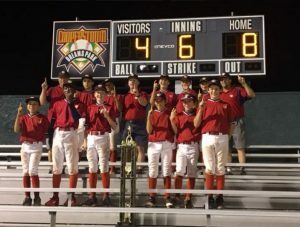 Congratulations to the East Cobb Tigers from Atlanta, GA – winners of the 2017 Cooperstown Dreams Park Championship, June 30-July 7. We were happy to host their families at Cobblescote on the Lake. We had a lot of fun with these great people! Click Here to View additional images at our Gallery.